Dr. Henning Schulzrinne co-developed the key protocols that enable Voice over Internet Protocol (VoIP) and other multimedia applications. These included the Real Time Streaming and Real-time Transport Protocols, which enable real-time transmission of multimedia across the Internet; and the Session Initiation Protocol, which sets up and configures VoIP telephony communications in enterprises and carrier networks. Since December 2011, Dr. Schulzrinne has been the Chief Technology Officer for the United States Federal Communications Commission (FCC). In this role, he guides the FCC’s work on technology and engineering issues, together with the FCC’s Office of Engineering and Technology. Dr. Schulzrinne, who earned his PhD at the University of Massachusetts at Amherst, also advises the agency to ensure that FCC policies are driving technological innovation. 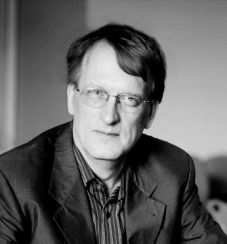 Dr. Schulzrinne is Levi Professor and former department chair in the Department of Computer Science at Columbia University. He is an Institute for Electrical and Electronics Engineers Fellow and former member of the Internet Architecture Board. He has published more than 250 journal and conference papers, and more than 70 Internet Requests for Comment.